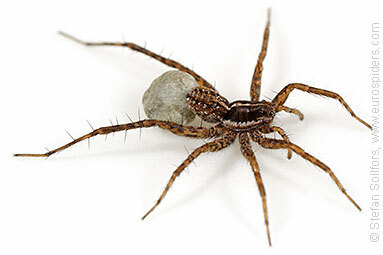 Female pardosa palustris spider carrying an egg sac. 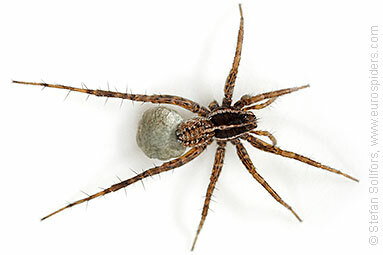 Female pardosa palustris spider from above, carrying an egg sac. One leg is missing. 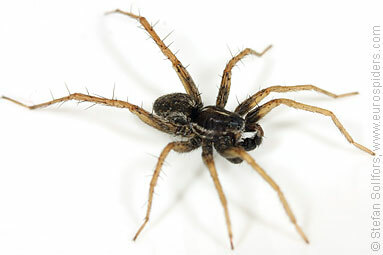 Male Pardosa palustris, side view. 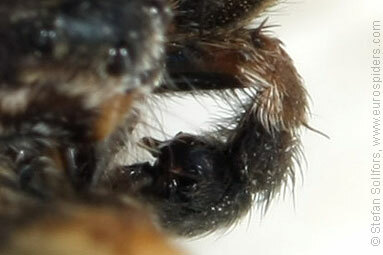 Female Pardosa palustris from below. 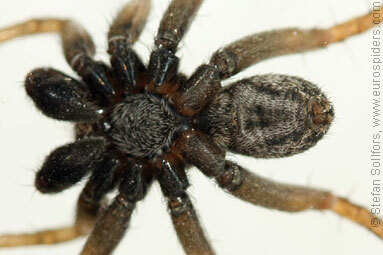 Male Pardosa palustris from below. 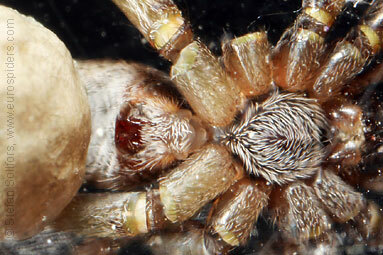 Pardosa palustris, close-up of epigyne. 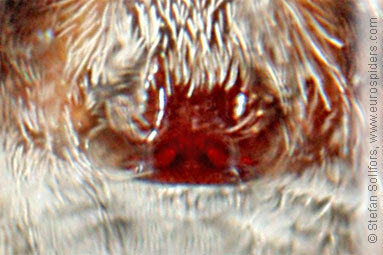 Close-up of the palp of a male Pardosa palustris. Note the diferent colours in the femur, patella and tibia of the palp. 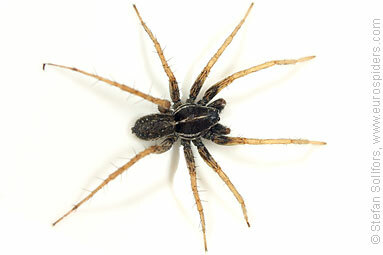 Male Pardosa palustris, 5 mm. The Wolf spider Pardosa palustris.